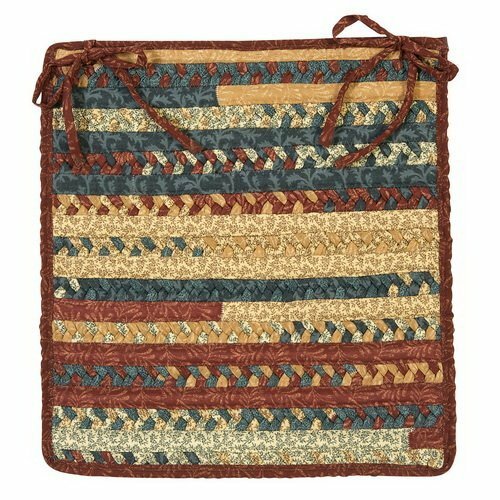 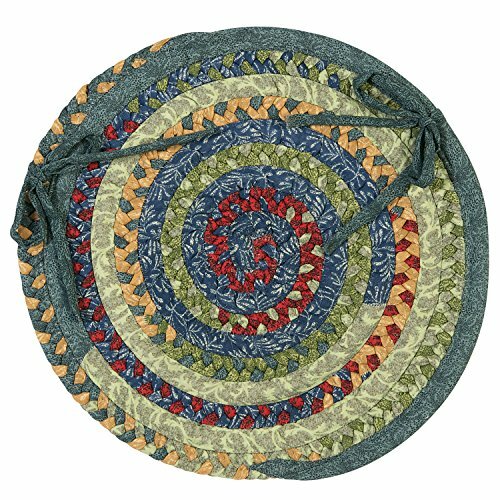 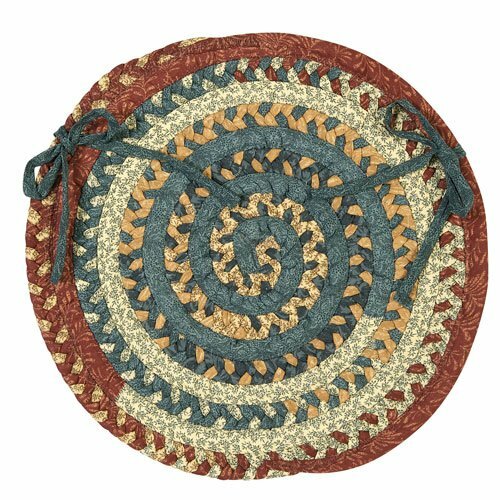 Cotton-blend, round chair pads made with a unique alternating pattern of fabric cord and flat braids and hearty colors warm up any kitchen table. 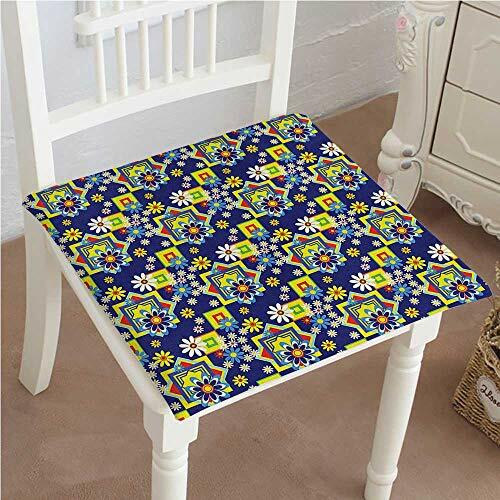 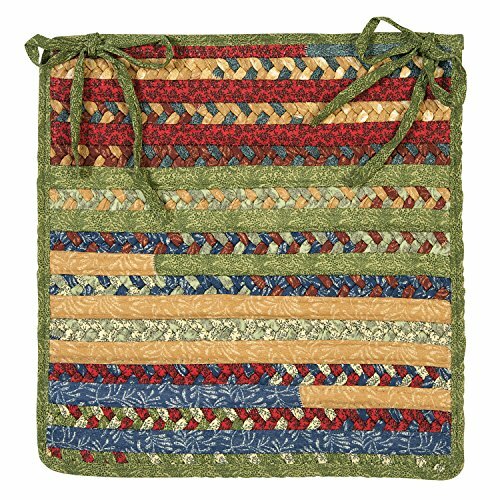 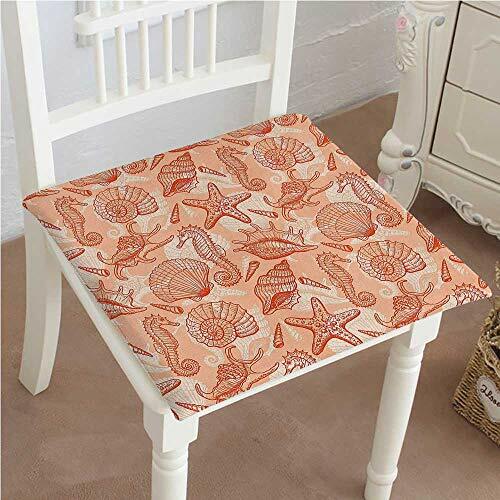 A unique, alternating pattern of flat braid and fabric cord come together in these square chair pads. 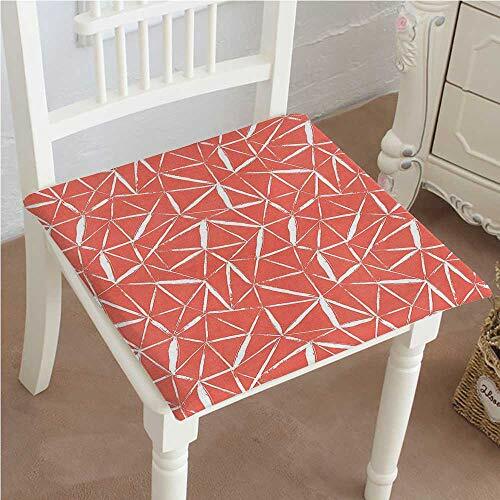 The hearty colors make it a perfect accent for kitchen or dining rooms.